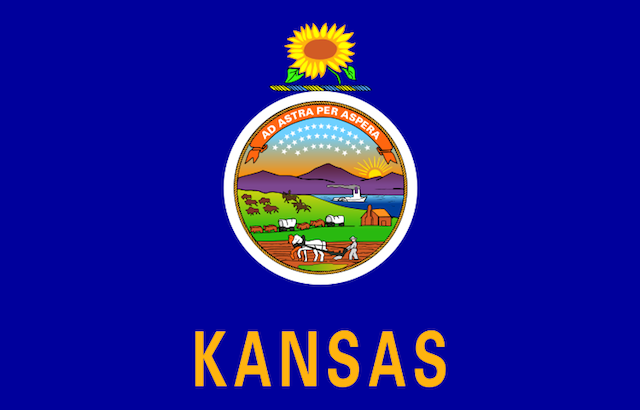 Take it or leave it, but PPP polled Kansas, and while I’m sure most of the attention will be on the heated Republican primary for Senate between Pat Roberts and Milton Wolf, the race for governor was actually polled. 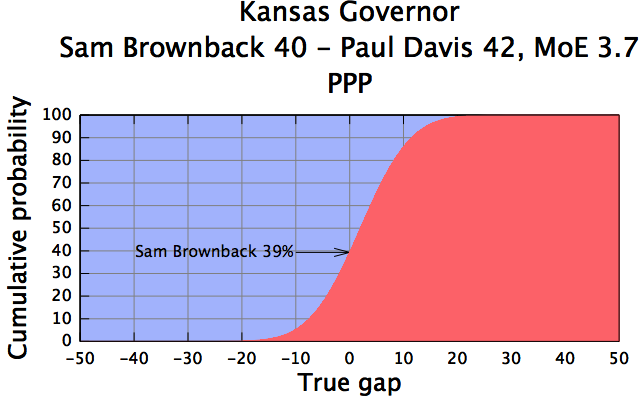 That got my attention because it shows Republican Sam Brownback to be losing to Democrat Paul Davis. Here’s the weird thing though: the 2012 Presidential splits in support. The actual election in 2012 went 60-38 for Mitt Romney. This poll goes 54-38. So PPP’s poll has Barack Obama retaining his entire 2012 support level, and his opposition falling off, in the President’s second midterm election. Naturally this matters because the poll has Barack Obama voters split 78-9 in favor of Davis. Mitt Romney voters go 63-18 for Brownback. So if PPP is right and in the 2014 midterm Barack Obama’s voters turn out better than Mitt Romney’s voters, and that Obama’s voters break much more strongly for Davis than Romney’s do for Brownback, then sure, Sam Brownback is in trouble.